A customer requested the rings below for himself and his wife. He wanted them based loosely on the ritual object derived from a Sanskrit word. If you’re so inclined you can find more information on Wikipedia. 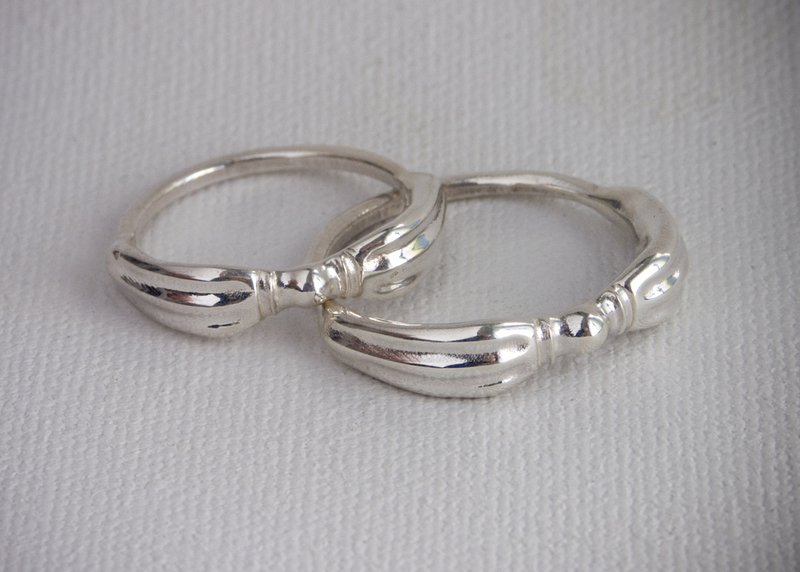 The rings are made out of sterling silver. Wax models 3D Printed at Shapeways and then cast in traditional lost wax method. � Third Dimension Jewellery <Liked it!